Eight White Nights is an unforgettable journey through that enchanted terrain where passion and fear and the sheer craving to ask for love and to show love can forever alter who we are. A man in his late twenties goes to a large Christmas party in Manhattan where a woman introduces herself with three words: 'I am Clara.' Over the following seven days, they meet every evening at the same cinema. Overwhelmed yet cautious, he treads softly and won't hazard a move. The tension between them builds gradually, marked by ambivalence, hope, and distrust. 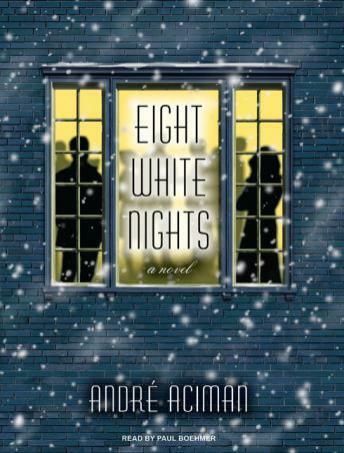 As Andre Aciman explores their emotions with uncompromising accuracy and sensuous prose, they move both closer together and farther apart, culminating on New Year's Eve in a final scene charged with magic and the promise of renewal. Aciman's piercing and romantic new novel is a brilliant performance from a master prose stylist.